Ann Gabhardt and me. An award AND a chance to rub shoulders with a gifted author (literally!). 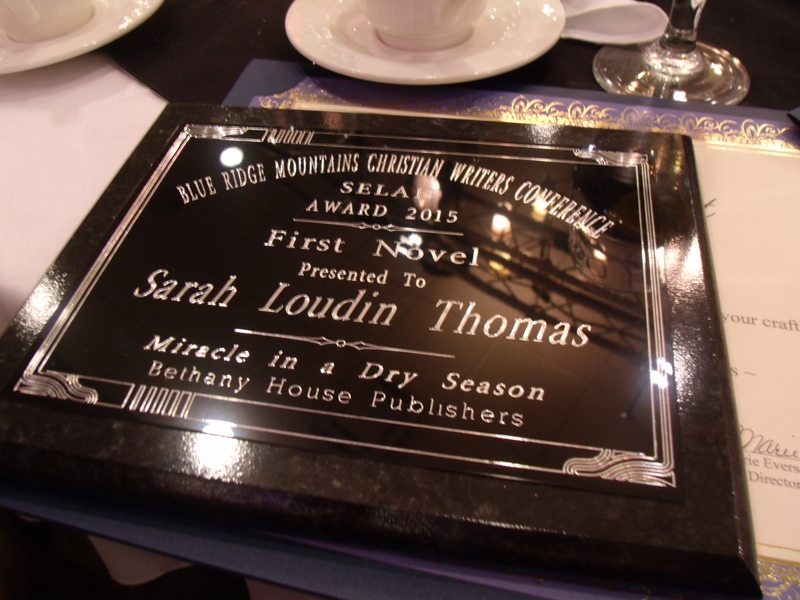 The Blue Ridge Mountains Christian Writers Conference just gave me my first award as a published author. It is, as you might expect, a pretty wonderful feeling. And making it even more wonderful is the fact that I got to celebrate my award with one of my favorite authors–Ann Gabhart. 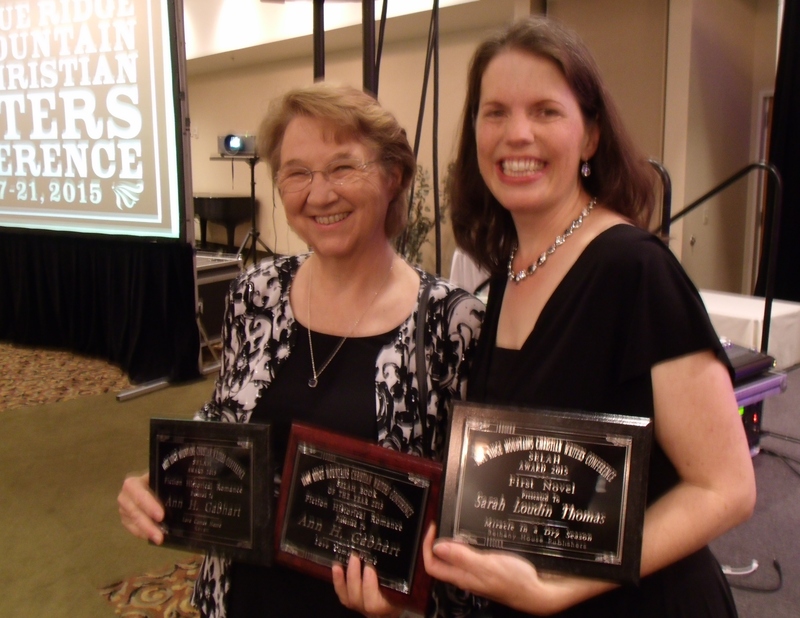 She not only won a Selah, but also the Book of the Year Award. And she’s a Kentucky girl, which means we’re both Appalachian born and bred. AND my husband was there to give me a kiss when I came down from the stage and back to earth (at least a little bit). AND I am reminded of how God likes to mix his blessings in among the challenges of life. Maybe so we can remember how much he loves us even when we still have some growing to do. Yup, that’s me with the Selah Award for Debut Novel. Five years ago I couldn’t have seen THAT coming. Kind of makes me excited about what God has in store for the next five . . .
Congratulations to you. Blessings never come when you expect them…God Bless. Congratulations to my beautiful and talented daughter from a very proud and happy mother. I’m so glad Jim was there with you. You look as happy (maybe even a tad more so?) as you did last fall at the book party! I love you. This was good, but the book party was BETTER! Congratulations… a well deserved award …. Posted	 May 21, 2015 at 9:21 am by Joan W.
So happy for you. Better clear out some wall space–I see more awards in your future! I told Jim to start planning the full-wall display! Sarah! Congratulations! I am absolutely thrilled for you. I wish I could have been there to share your joy. Yes, I’m sure many more great things are on the way for you. Blessings! Would have been even more fun with you there! This is so wonderful! Congratulations, Sarah! !